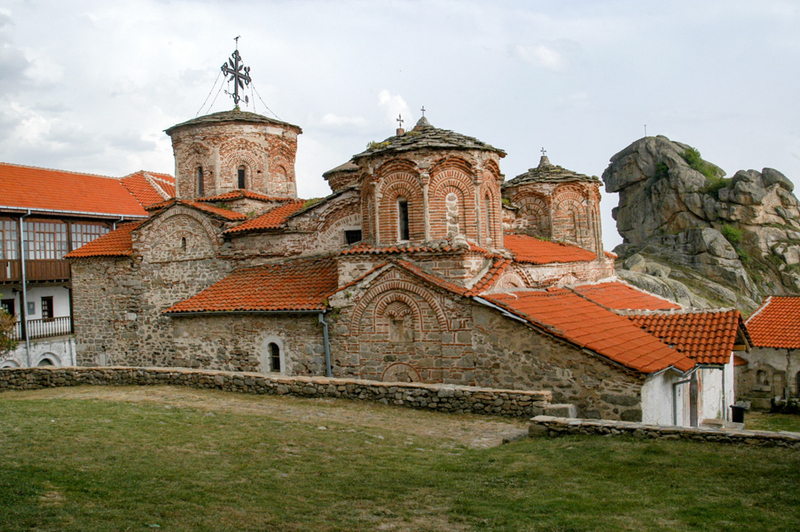 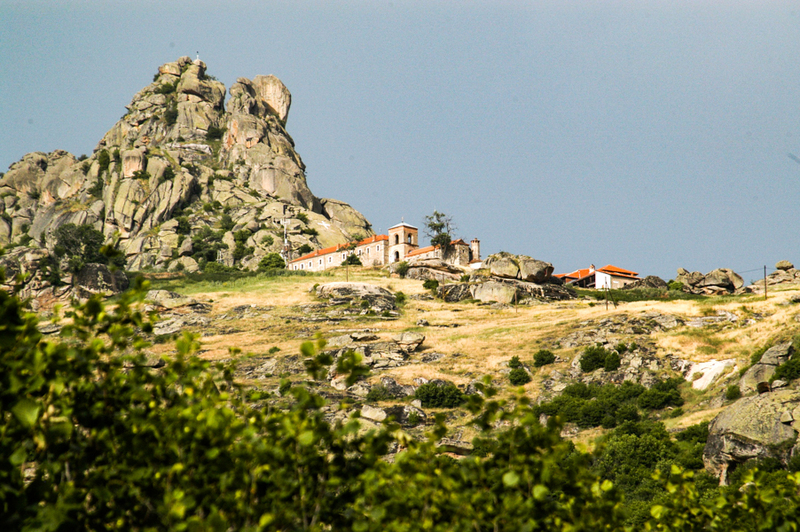 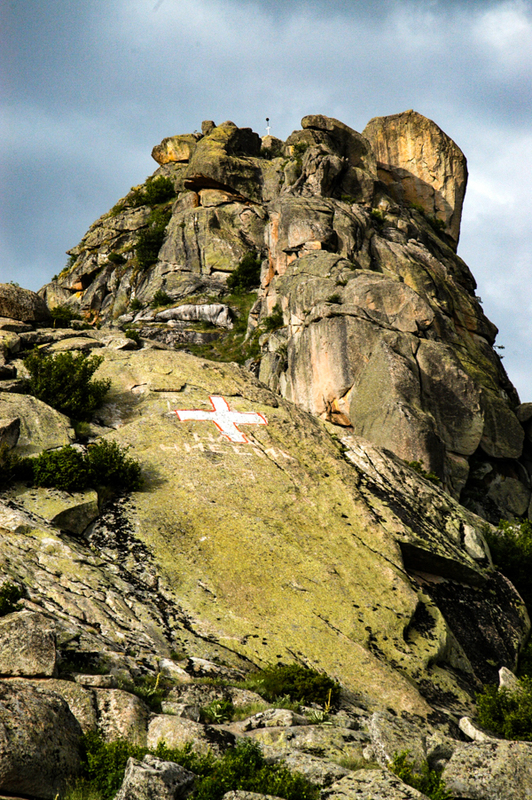 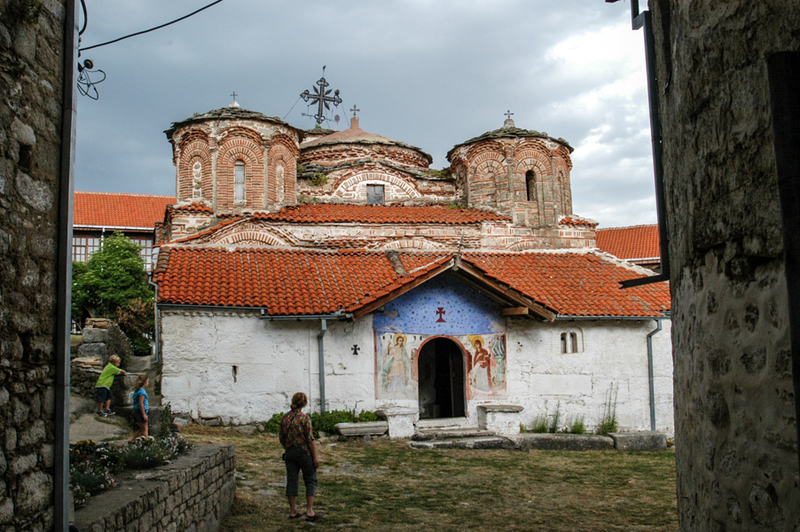 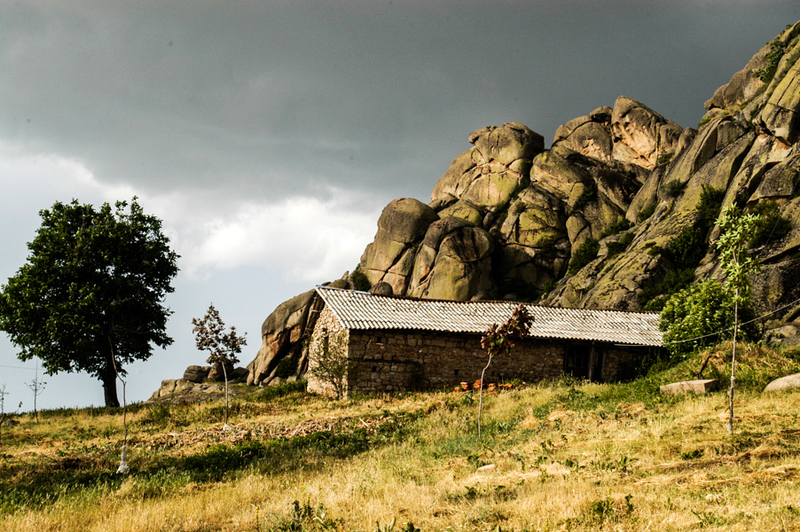 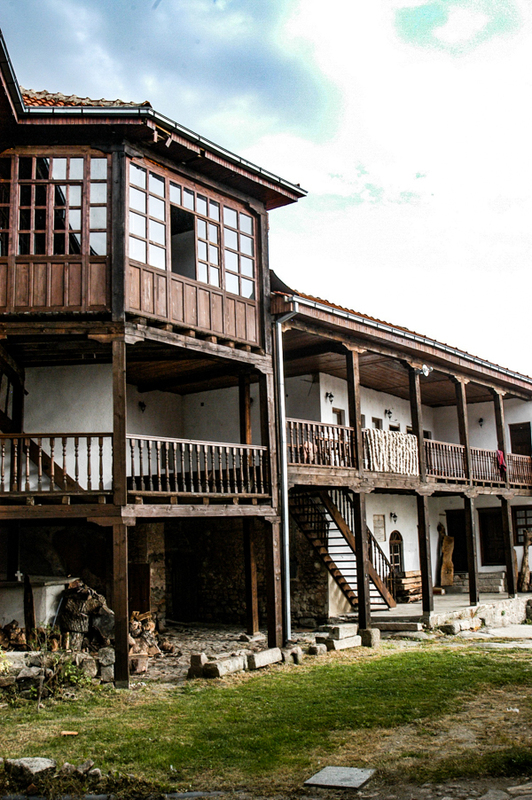 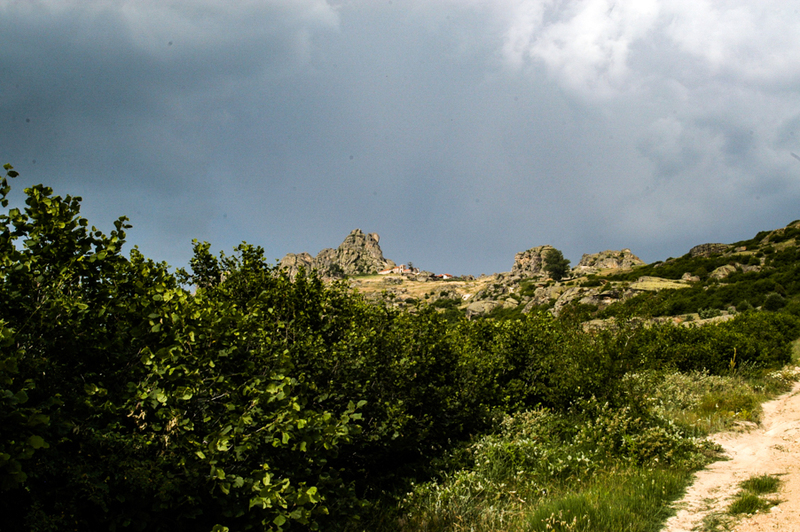 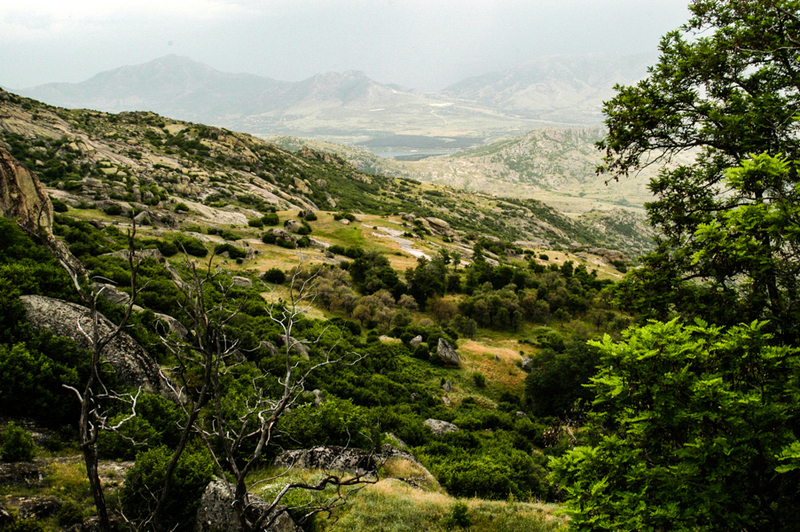 The Treskavec Monastery, built in the 13th century, is located on a strategic rocky plain just below the “Zlatovrv” peak (Golden Peak, also called Golden Apple) on Mount Babuna about 10 kilometers from the center of Prilep. 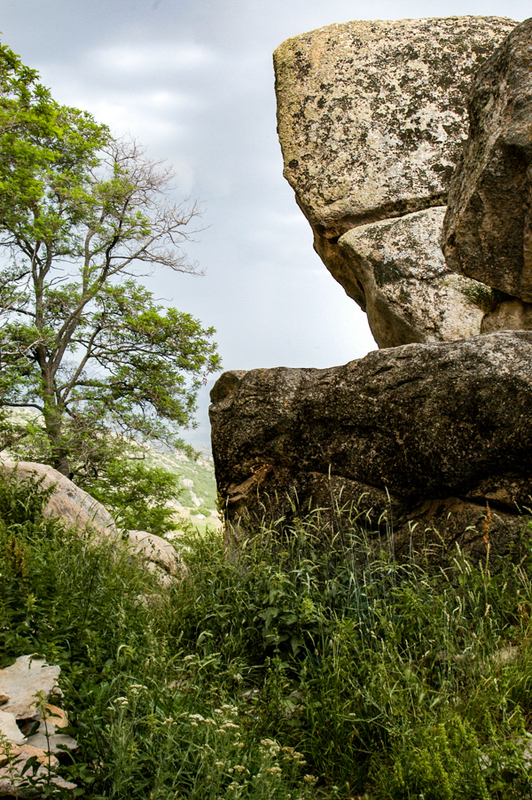 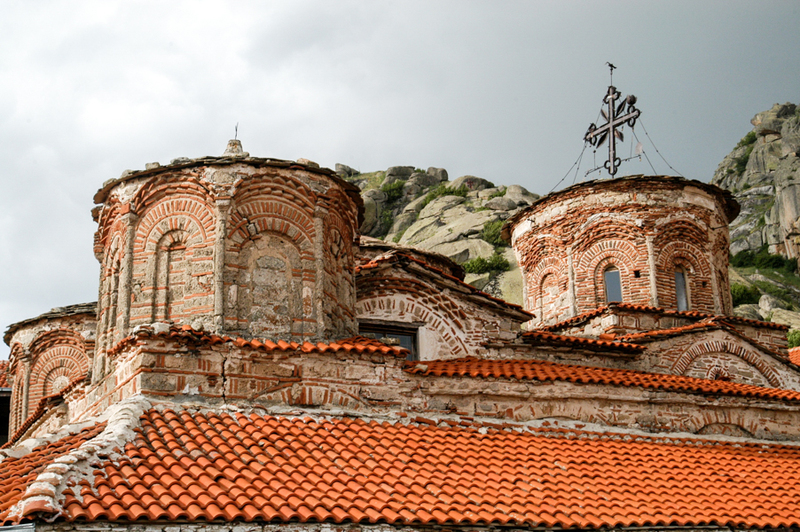 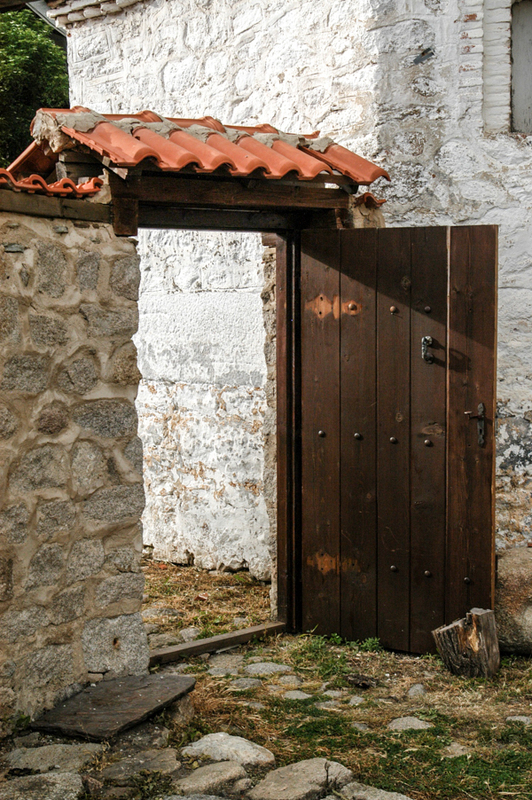 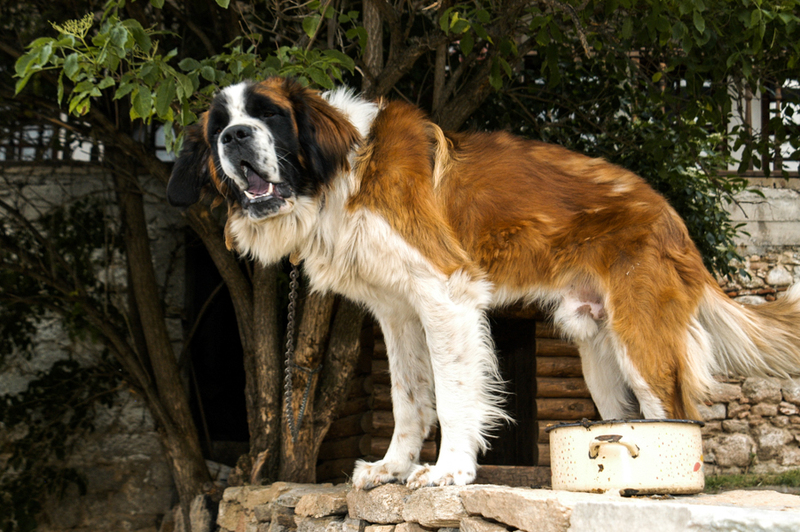 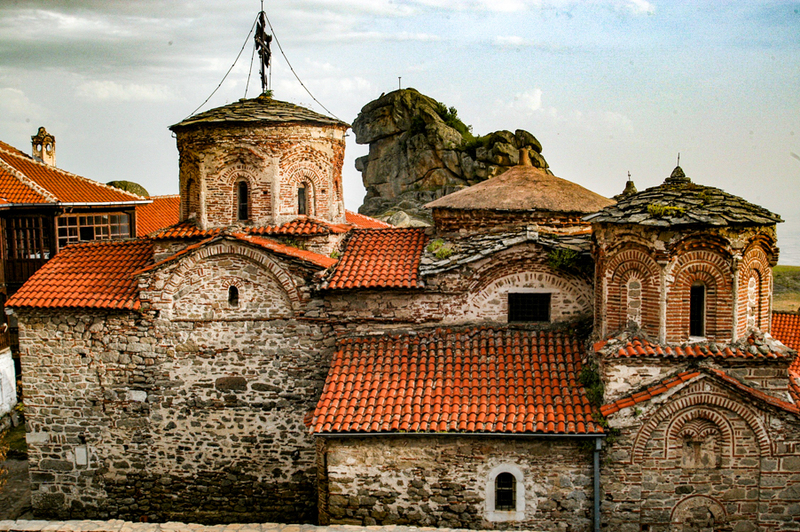 According to legend, this monastery was named “Treskavec” meaning crash site. 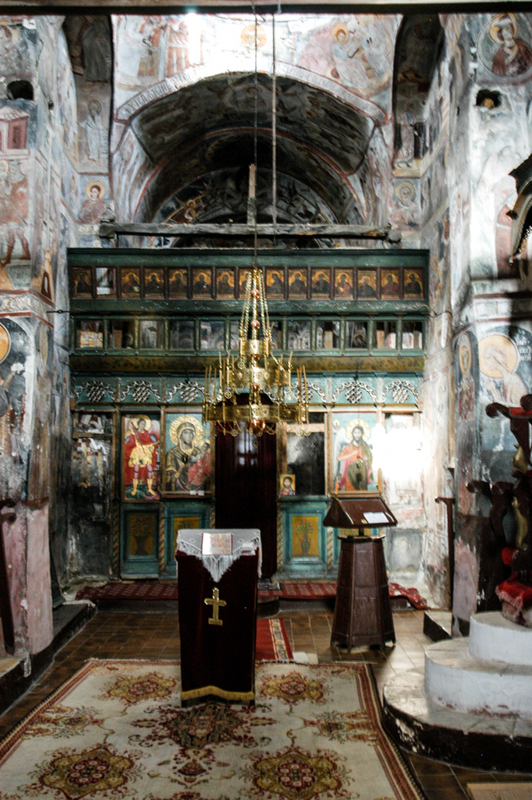 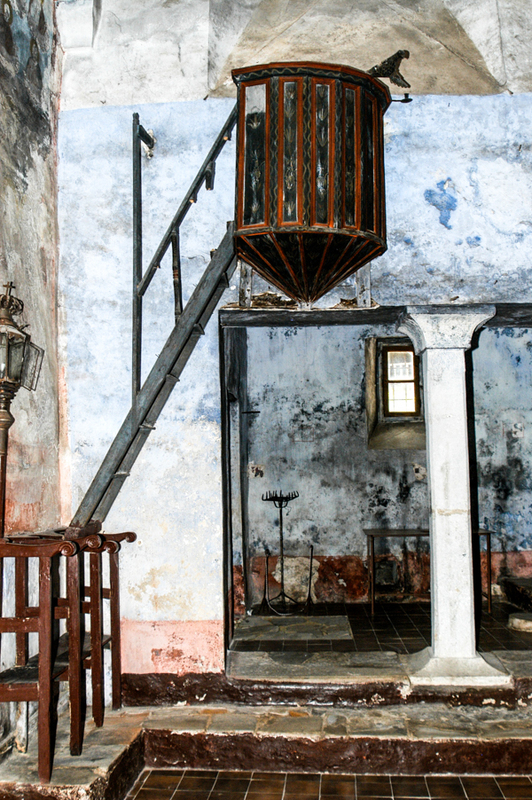 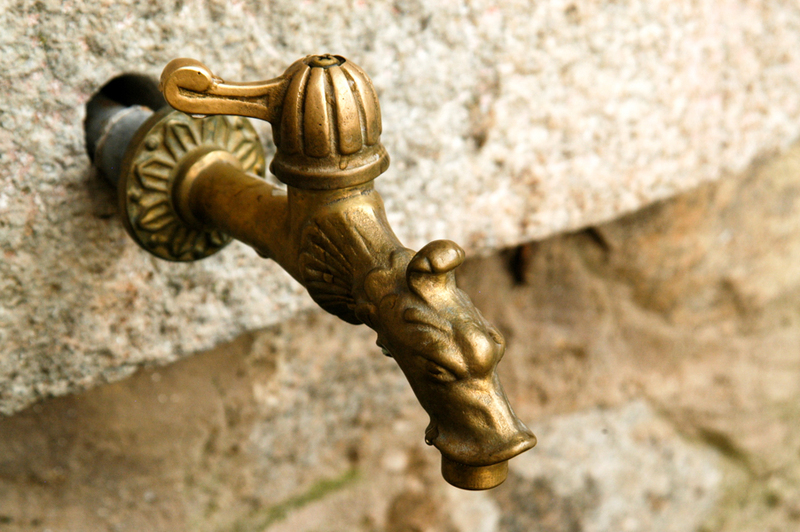 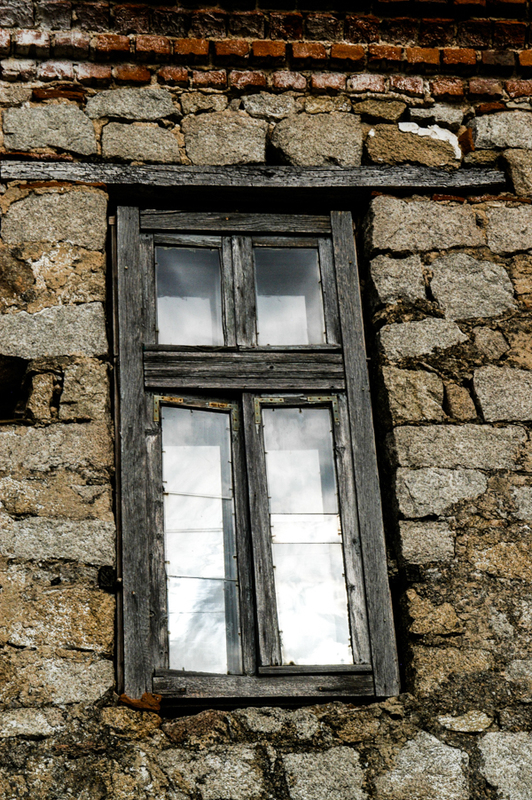 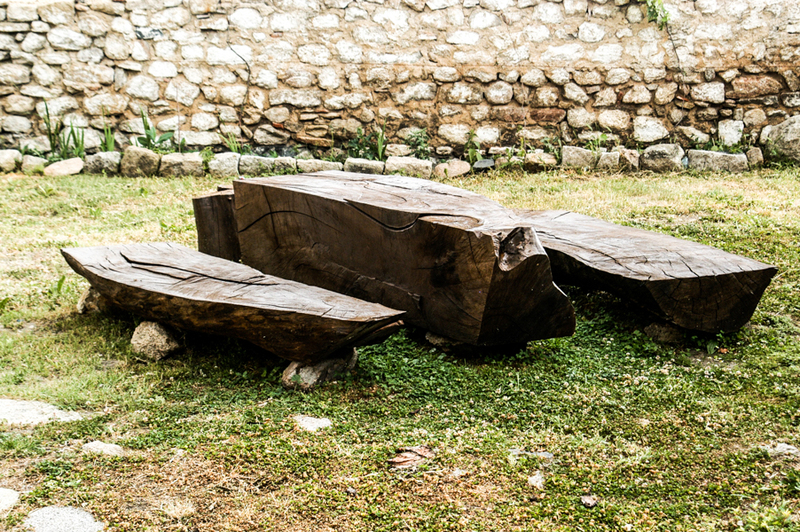 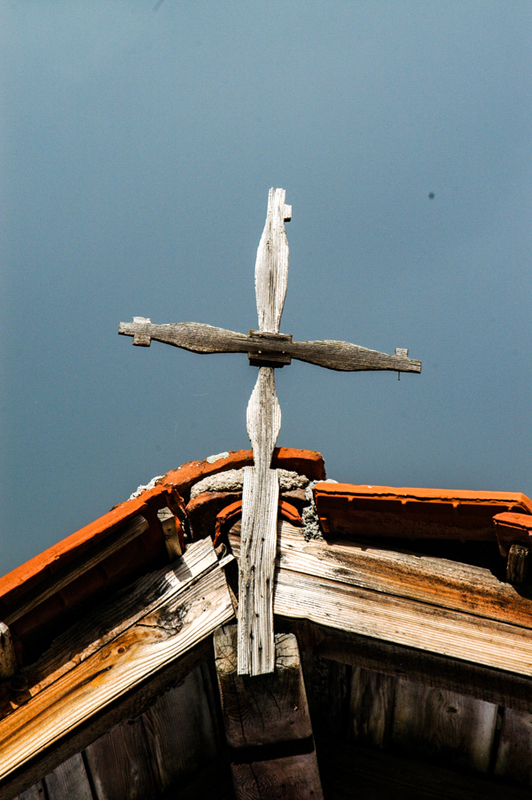 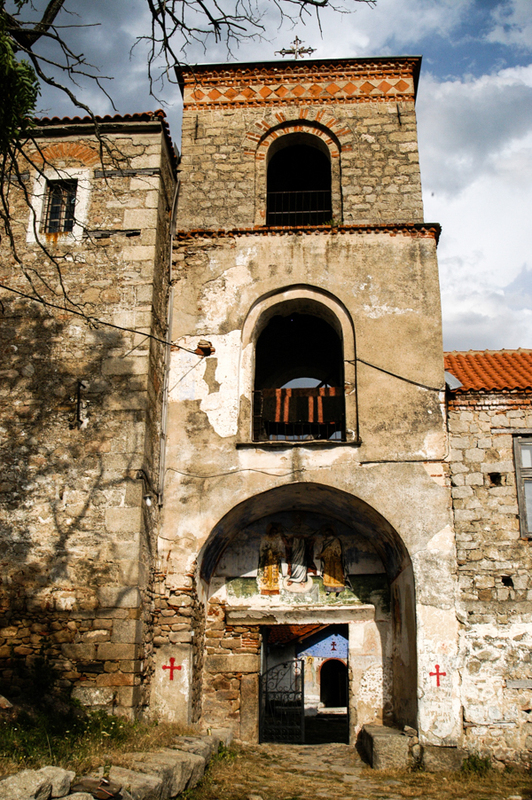 Legend states that while villagers were in another church for service they heard a loud crash at the monastery. 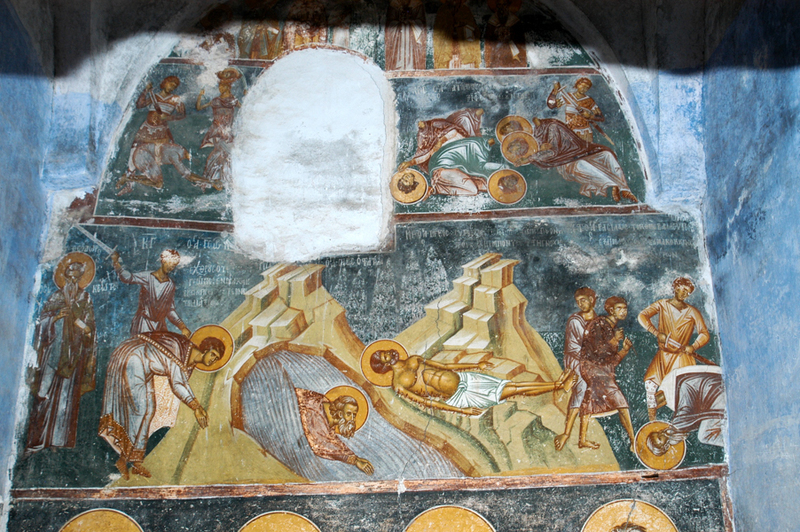 Villagers later inspected the site and found a slain beast laying over the monks. 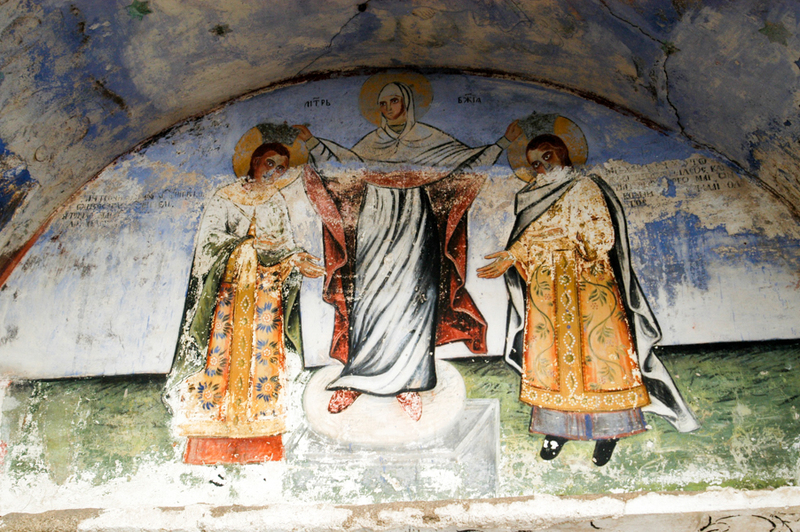 As we just entered the gate we met a lovely Saint Bernard and Father Kalist, a very knowledgeable monk who spoke English and was a wonderful tour guide. 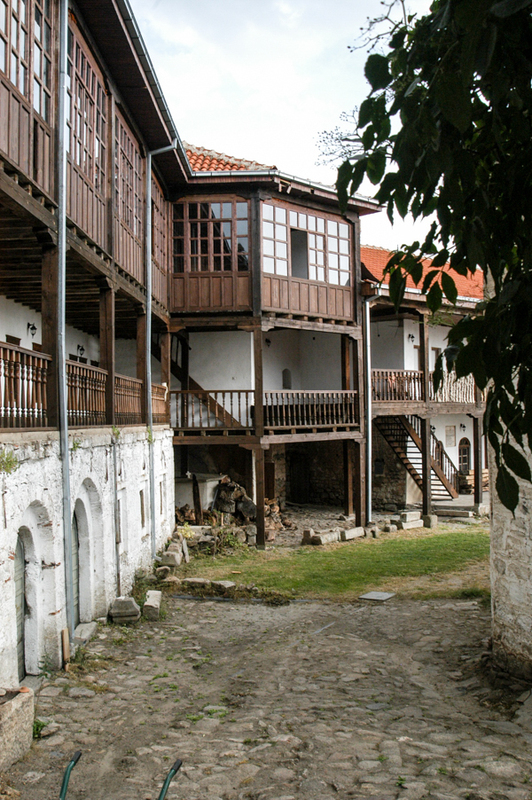 Stone tables and benches in the refectory dating from the 14th century still exist (see pics 23 & 24 in the 3rd gallery below). 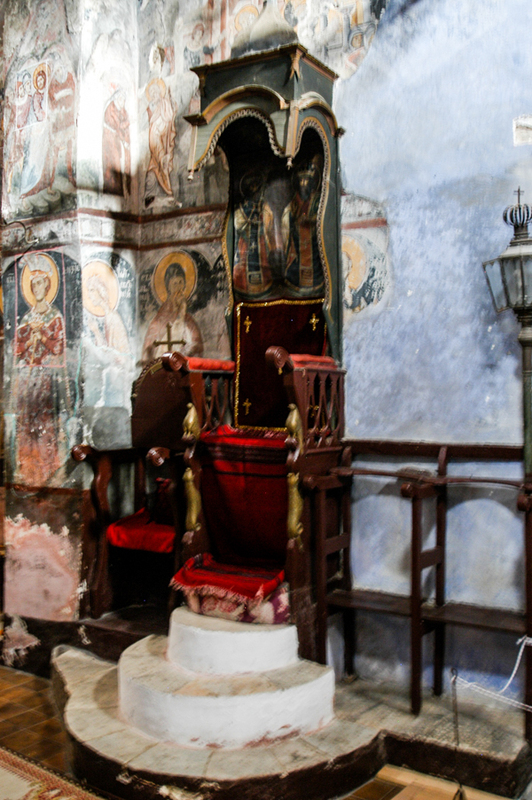 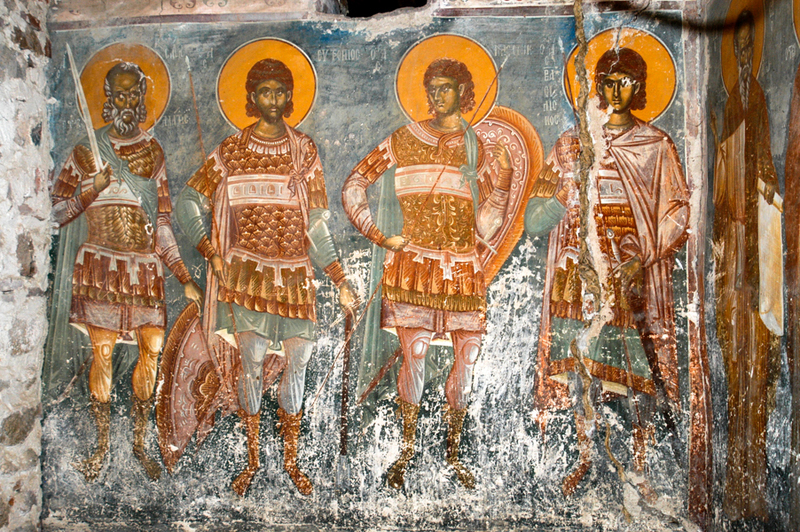 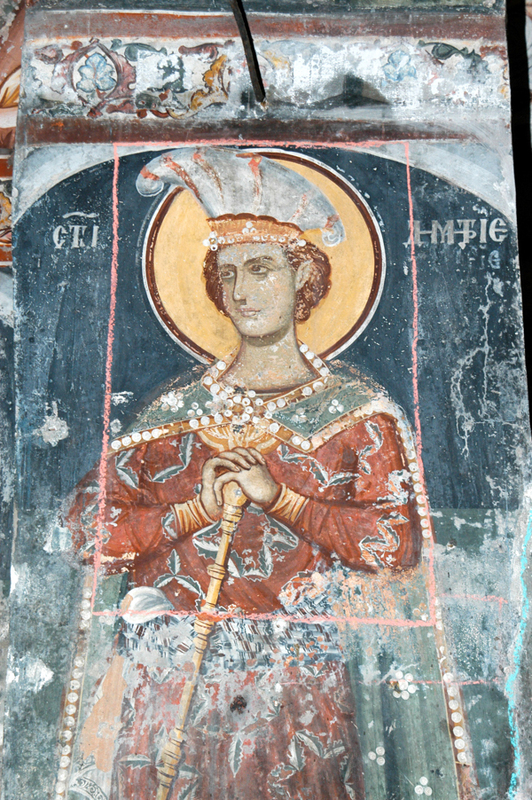 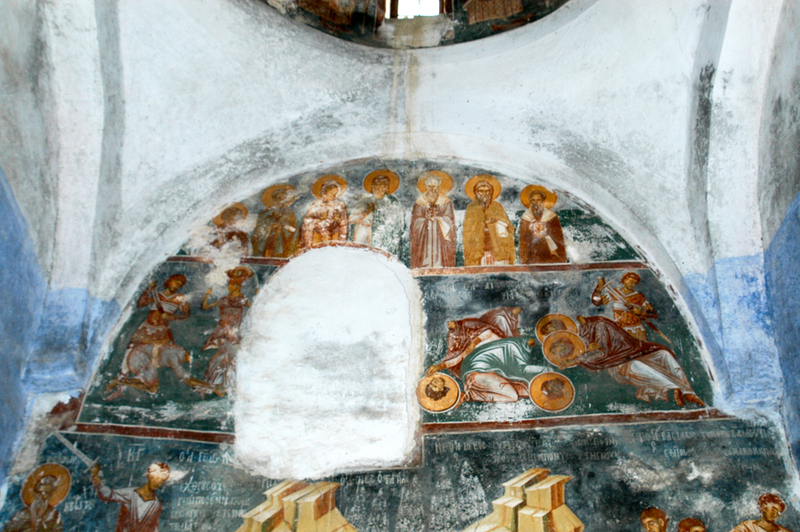 There are also remnants of some frescoes from the 14th century. 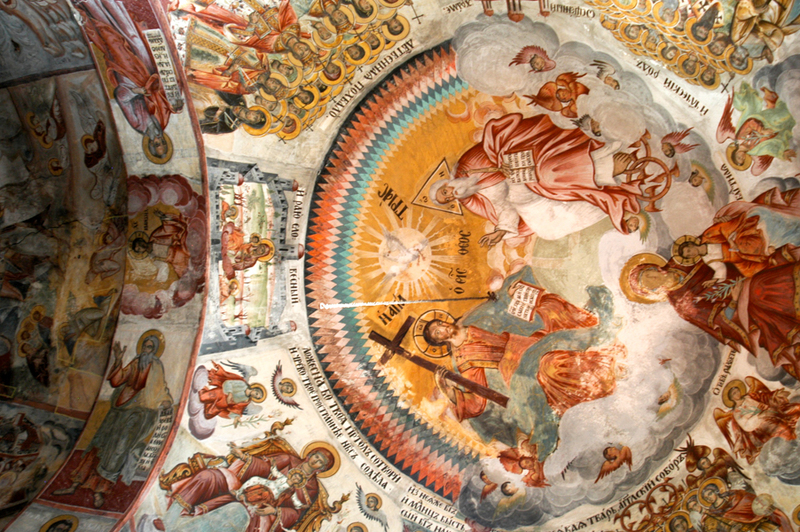 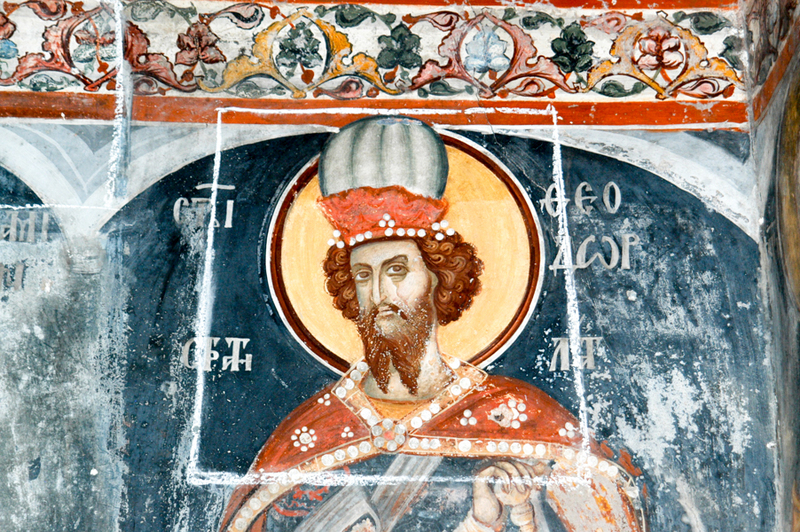 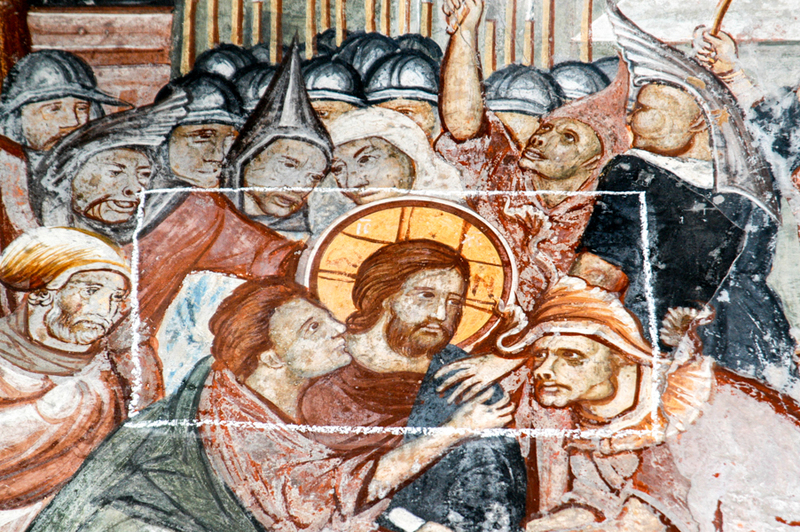 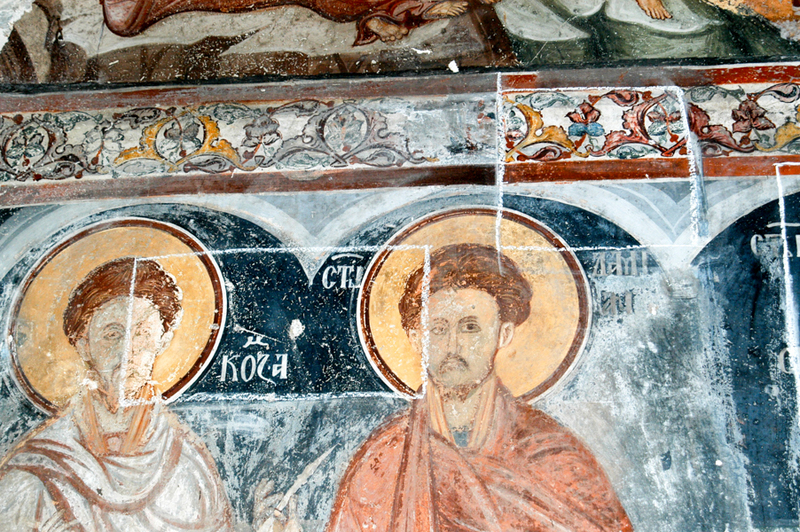 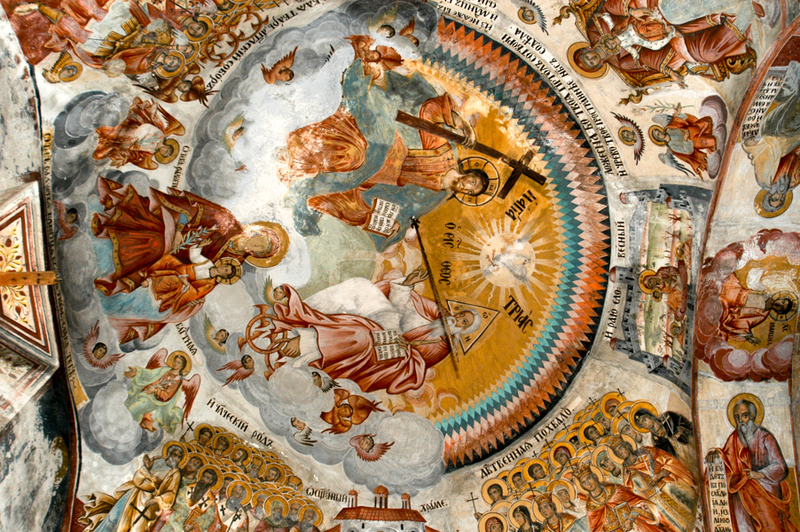 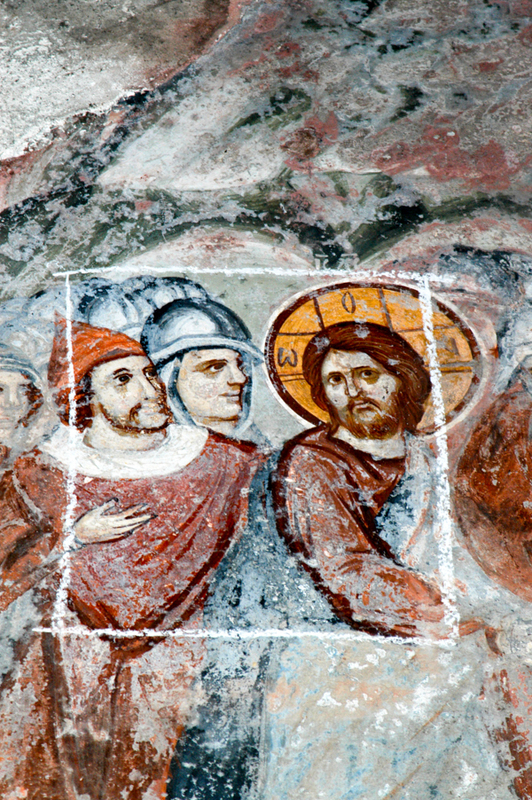 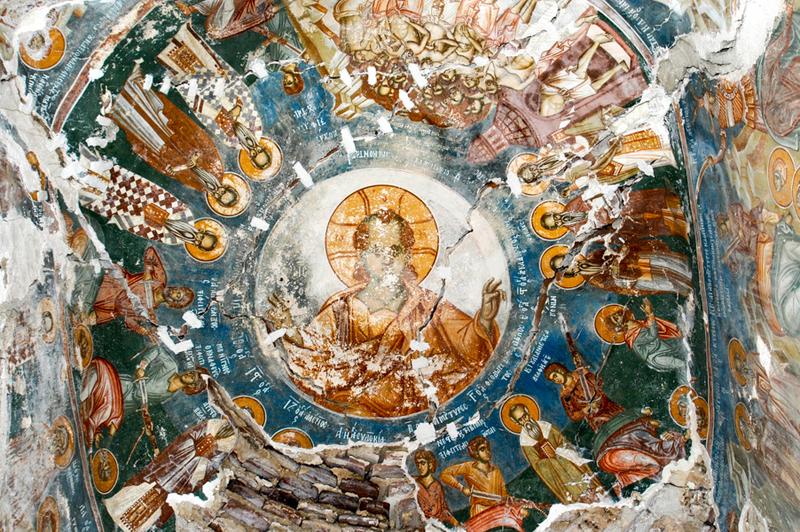 Other frescoes date from the 15th and 19th centuries. 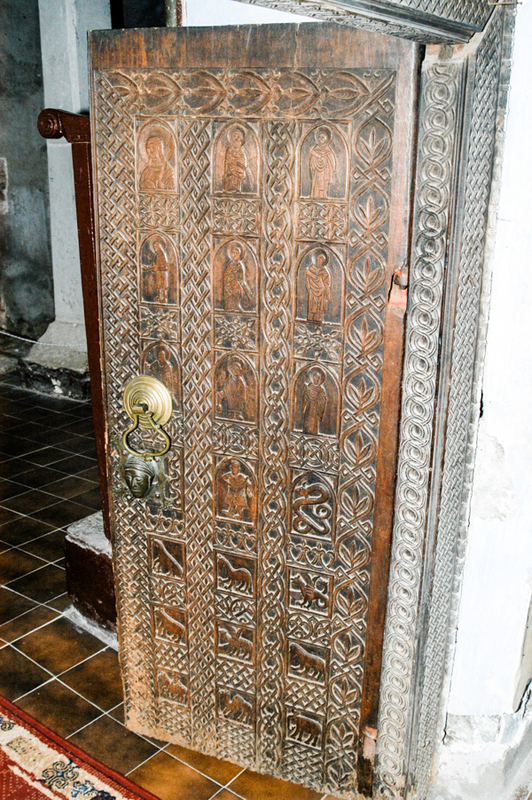 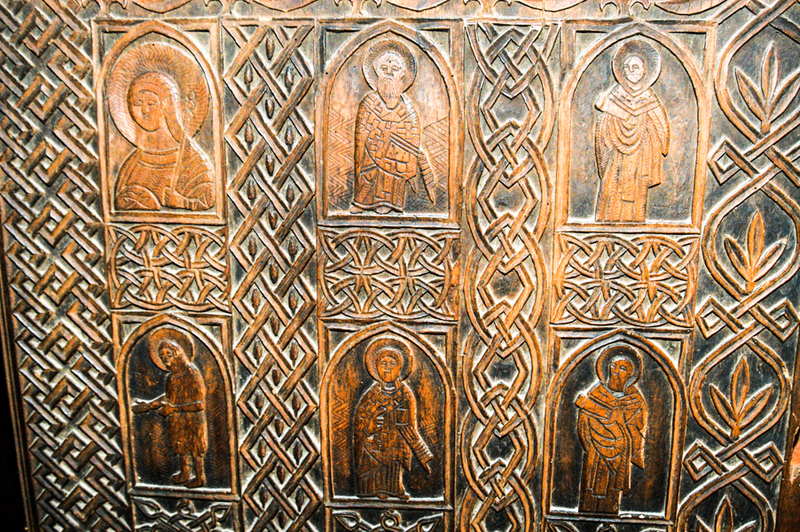 The ornately carved wooden door at the western entrance dates from the 16th century (1st twp pics in the 3rd gallery below). 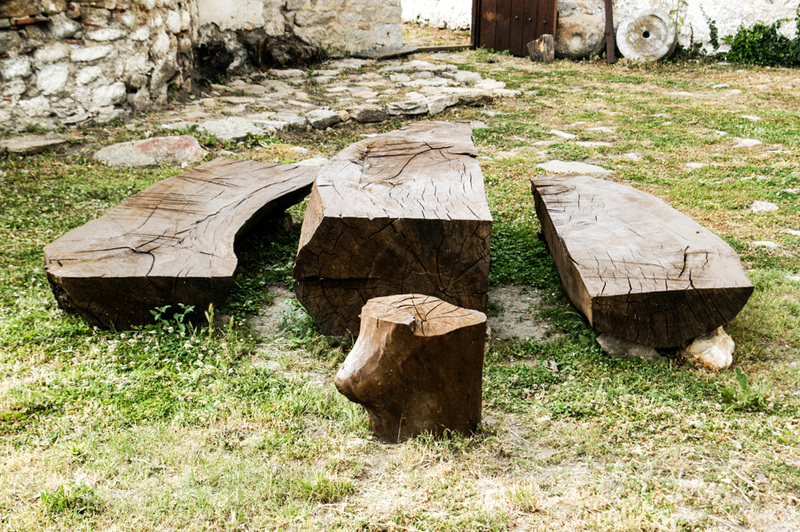 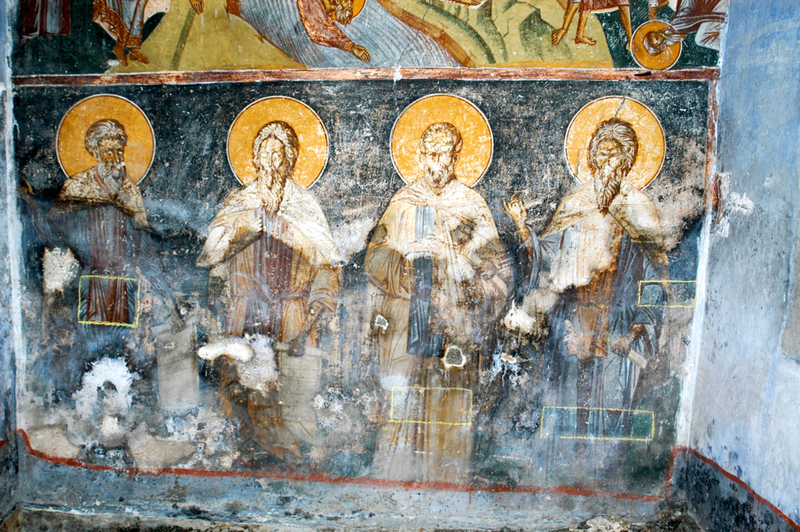 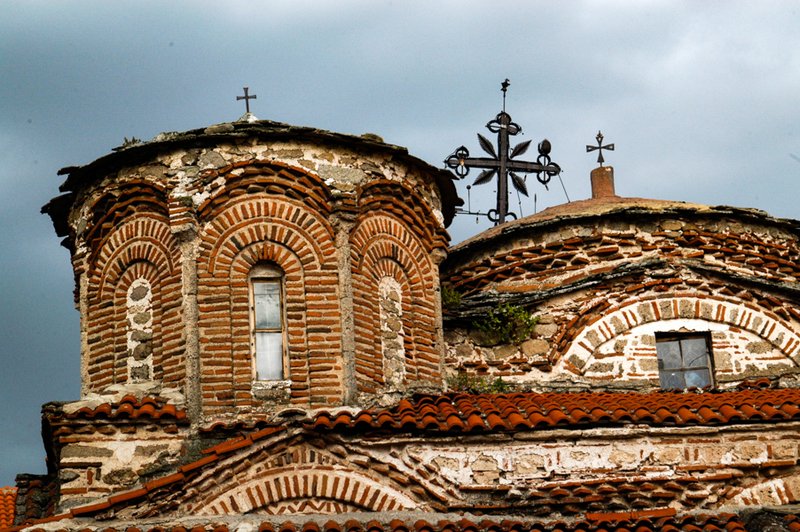 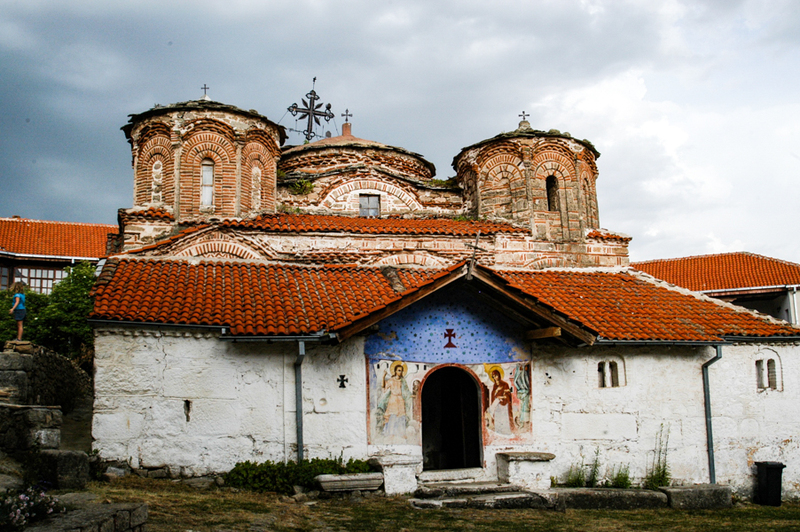 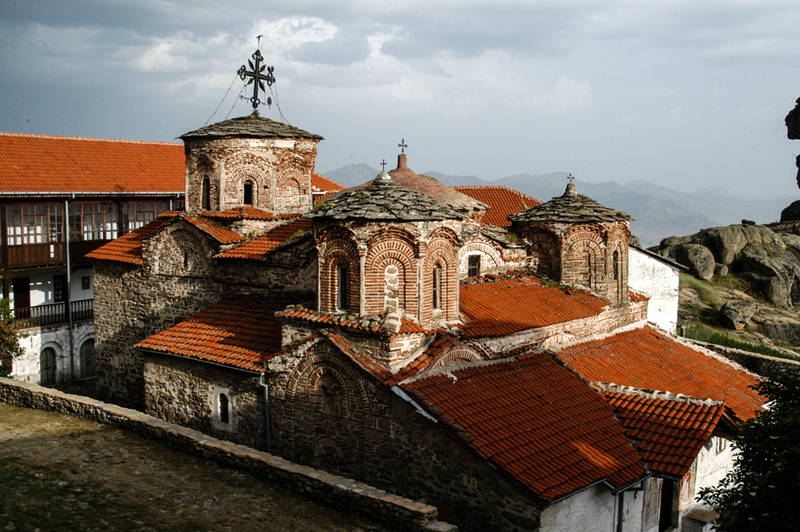 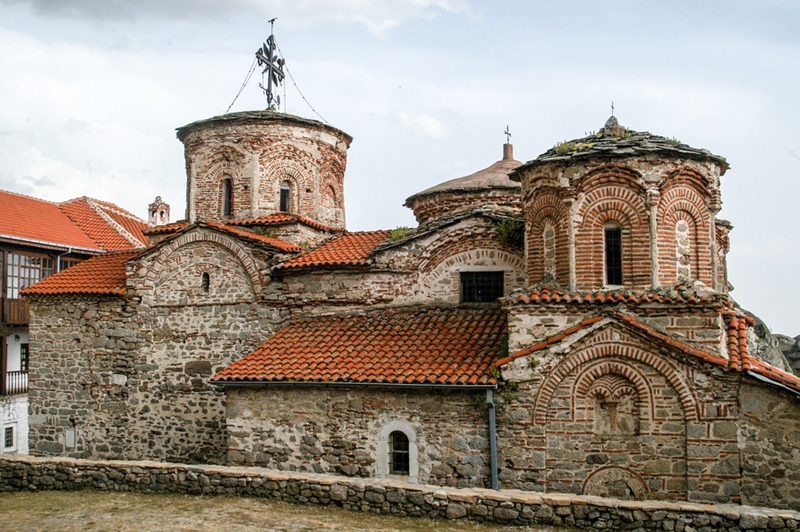 “Macedonian Monasteries” by Dimitar Cornakov, pp. 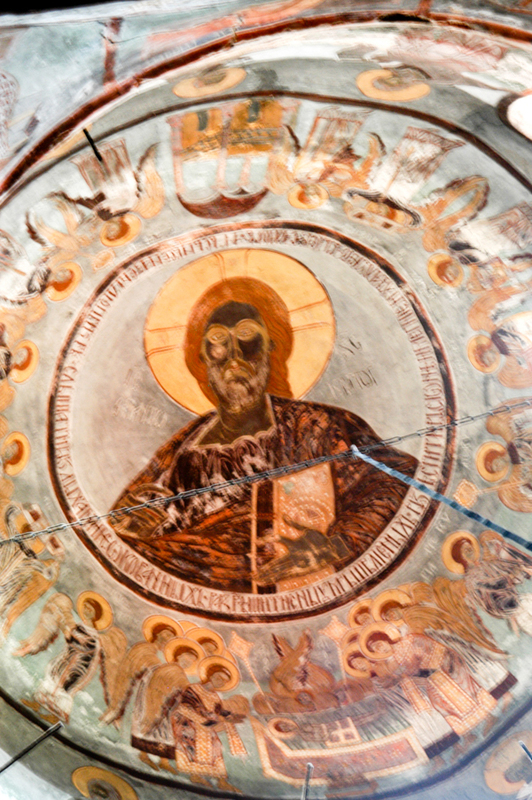 209-218, 1991 Matica Makedonska, Skopje.